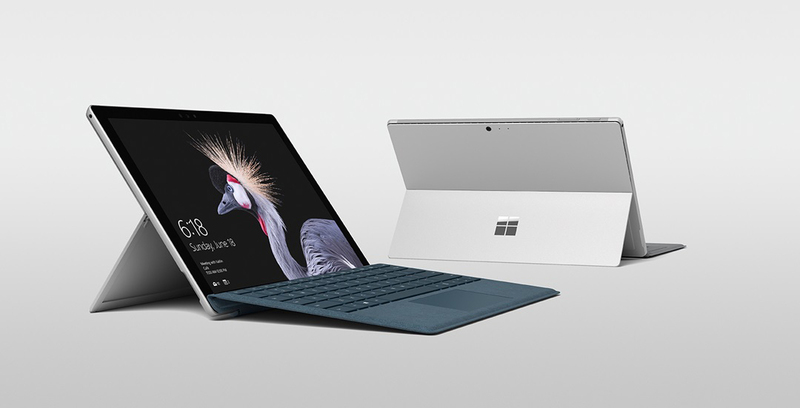 Microsoft today announced the Surface Pro, successor to the company’s Surface Pro 4 two-in-one. While the Surface Pro features the same exterior as the Surface Pro 4, Microsoft says it has completely redesigned the interior of the device, adding more than 800 new custom parts to the design. Leading the list of improvements is the inclusion of Intel’s latest seventh-generation Kaby Lake processors and a new fanless design featured in both the Core M3 and Core i5 variants — according to Microsoft, the Surface Pro is the first Core i5 device to feature a fanless design. Thanks to the efficiency improvements provided by Intel’s latest silicon, Surface Pro is able to continue working for 13.5 hours straight on a single charge. That’s a 50 percent improvement from the Surface Pro 3. The company has also redesigned the device’s signature hinge. It now supports a full 165-degree of motion, allowing for a new “Studio” mode that’s inspired by the Surface Studio. Moreover, like Surface Studio, the Surface Pro is compatible with the recently released Surface Dial. Surface Pro also features an enhanced PixelSense display that can display colours beyond the SRGB colour gamut. For the first time in the product’s history, Microsoft will ship a LTE Advance capable version of one of its Surface Pro two-in-ones. The company hasn’t revealed how much that variant will cost, but it did promise that the LTE-compatible Surface Pro will arrive later this year. Microsoft also announced a new Surface Pen accessory. With 4096 pressure points, the new stylus is two times more accurate and four times more pressure sensitive than its predecessor. The new Surface Pen will be available in Platinum, Burgundy, Cobalt Blue and Black. 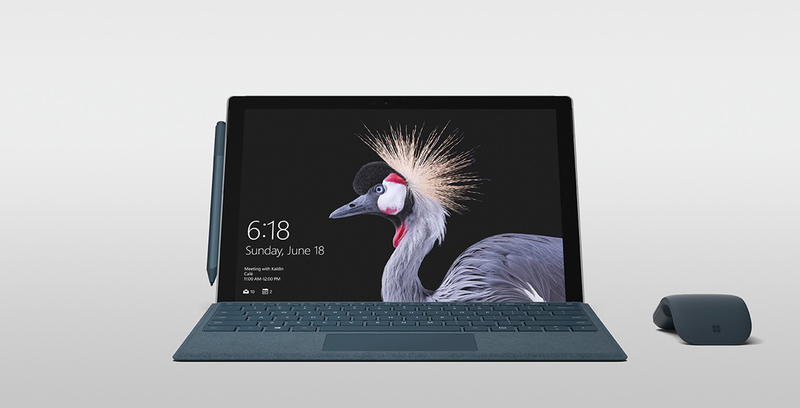 Notably, however, the new accessory does not with Surface Pro; instead, consumers will have to buy the stylus separately. A new Surface Pro also means a refreshed Type Cover. In this case, Microsoft has redesigned the Type Cover to feature 1.3 mm of key travel. Moreover, all of the available Type Covers now feature Alcantara fabric, not just a single special edition one. Like the Surface Pen, the new Type Covers are available colours designed to match the stylus. Port connectivity is the same as past Surface Pro models: Surface Connector, USB 3.0, headphone jack, microSD card reader and mini DisplayPort. The new Surface Pro is available to pre-order in Canada starting today and will start shipping on June 15th. The base model, specced to include an Intel Core m3 processor, 4GB of RAM and 128GB of internal storage, costs $1049 CAD.